Twelve students in their final term of the Culinary Arts Academy were put in charge of creating one of the most important and prestigious events of the year, “Le Festival Culinaire” on June 8th. According to Ivan Feij, Operation Director for the school, the culinary festival is the “cherry on the cake” for the students; it’s when they must put all their learning into practice. Drafting a press release students began to build the awareness regionally and followed-up by holding a press conference on May 14. Ten journalists attended and the initial buzz ensured the event received media coverage in both Swiss and French press. The class made sure to involve the entire school, as well as the local association of food lovers in the planning, organisation and implementation of the 2nd edition of the culinary festival. On June 8, the school welcomed 450 guests for a culinary extravaganza. A seven-course meal was prepared in an informal atmosphere, which was well suited to welcoming families, children and local authorities from the Chablais region. Over the course of the afternoon popular all-time favorite street foods were prepared, including satay chicken, mini burgers and sushi. Also on the menu were dishes made using local specialties, such as fresh water fish from Lake Geneva used to prepare fish tartar and the peaches, cucumbers and tomatoes for the gazpacho. Wine, cheese, meat and fish were some of the products provided by local producers from the beautiful Chablais region, where Le Bouveret campus is located. The weather and a jazz band conspired to ensure the perfect atmosphere. Photos attest to the beauty, know-how and elegance that prevailed throughout the day. Students were thrilled that their project was such a success and felt very proud of their achievement. 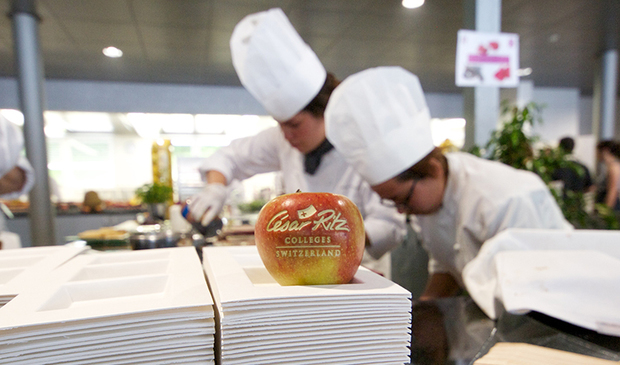 They worked tirelessly and were supported throughout by the top-class teaching and professional environment of César Ritz Colleges Switzerland. This challenging Master degree programme, accredited by the University of Derby (UK), will satisfy the academic, professional and personal needs of candidates seeking top management careers in the hospitality industry. The Master of Arts aims to assist candidates in achieving their entrepreneurship and leadership potential through business-plan projects, network and personal coaching. The programme has a strong professional focus for students seeking a career in the international hospitality and tourism industry. Students combine practical courses and management subjects with the development of a personalised business plan in the final year. Qualifications have been designed to deliver an appropriate blend of skills and knowledge in academic disciplines, professional hospitality and tourism management and personal and social development. Graduates have the potential to commence their career at an intermediate supervisory level, and will possess the analytical and management skills appropriate for progression to a wide range of positions at a more senior level. 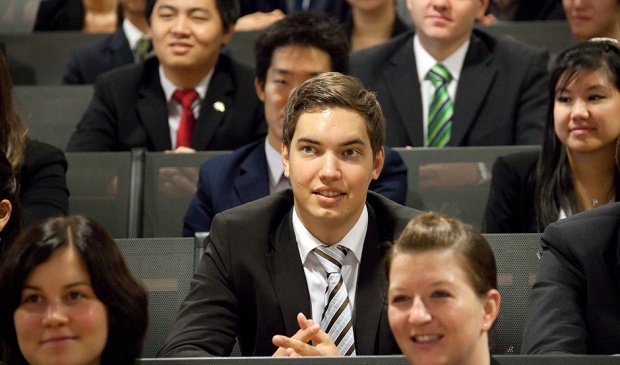 Berminat untuk studi Bachelor of International Business in Hotel ant Tourism di Switzerland ? Ingin mendapatkan informasi lebih detail ? hubungi : EDU EXPERTUS.